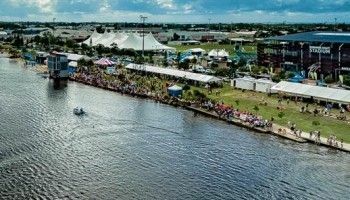 Are you looking for Kawana Sports Precinct accommodation? With the Kawana Sports Precinct situated halfway between Mooloolaba and Caloundra, you’ll find your perfect home away from home right here at Burgess @ Kings Beach. 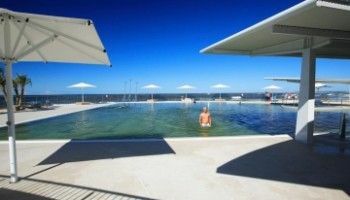 After a hard day slogging on the field or in the pool, what better way to unwind than at one of Caloundra’s classic holiday apartment resorts. 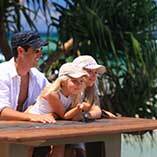 You’ll find our resort facilities an ideal way place to relax. The poolside features are great. Rest your weary muscles in the outdoor spa pool. The BBQ station is also beside the pool, so it’s the perfect place to grill your prawns or meat with the team. Even if you’ve come as a spectator or driver for the team, it’s a great after match venue. Families and teams will appreciate the capacious apartments and laid back decor and furniture. It’s like a taste of home at the beach. We have several sleeping configurations for our three bedroom apartments, and if you need six single beds for your stay we can accommodate that. For that odd number, we can provide another bed, but bear in mind it’s trundler style with a foam mattress and incurs an additional surcharge. Cooking is also a breeze. You may be mistaken that the BBQ downstairs is your only recourse for cooked meals that you can prepare yourself, but fear not, all our apartments have fully equipped kitchens where you can cook til your hearts content, especially with Woolworths a couple of minutes drive away in Caloundra. For an early morning start, or even a late one, there are cafes nearby at either end of Kings Beach. At the southern end is Tanja’s Beach Pavillion and Coffee Kat. 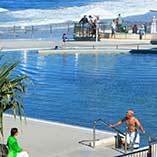 At the northern side close to the Salt Water Pools and the Metropolitan Caloundra Surf Life Saving Club is Beau’s. 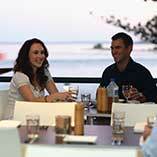 Later in the day, pop down for a drink at the Metropolitan Caloundra Surf Life Saving Club. 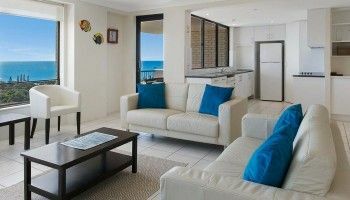 If you are looking for Kawana Sports Precinct accommodation and a great destination to hang out with the family or the crew, then the Burgess @ Kings Beach will suit you all the way to the beach. Book now.